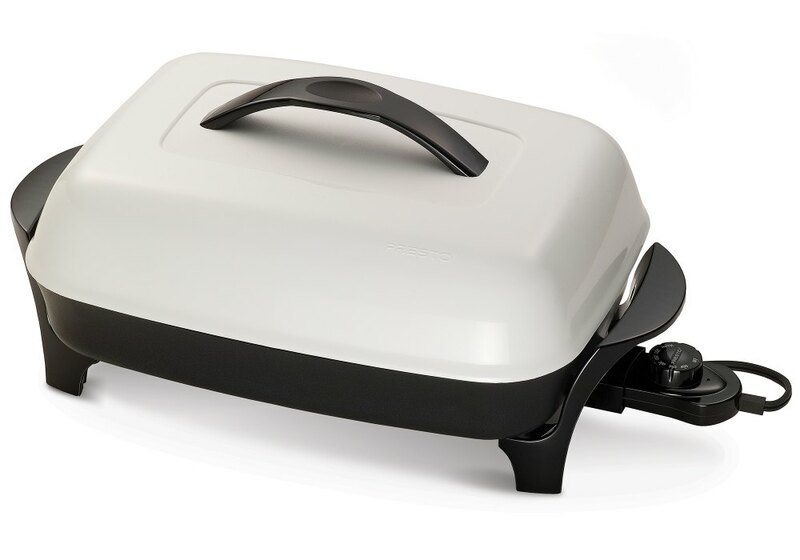 Big 16-inch base, high sidewalls, and high dome cover provide extra cooking and serving capacity. Heavy cast aluminum base is virtually warp-proof and coated with a deluxe nonstick finish, inside and out, for stick-free cooking and easy cleaning. Large high dome cover accommodates extra large cuts of beef, pork, and poultry.